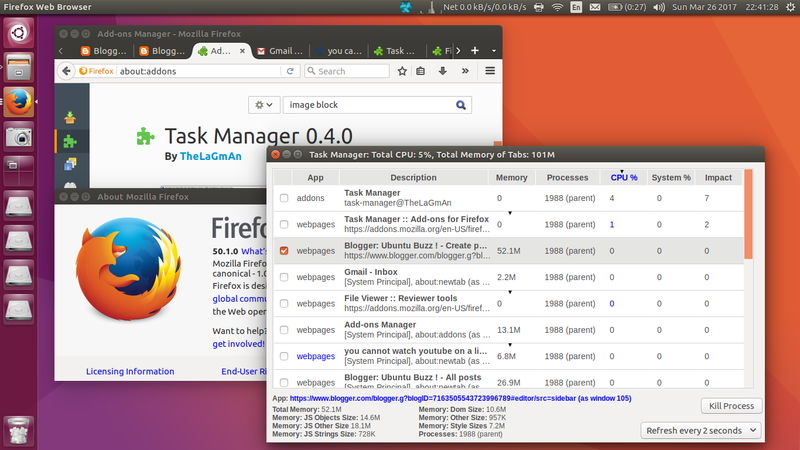 This is Task Manager addon for Firefox by TheLaGmAn. 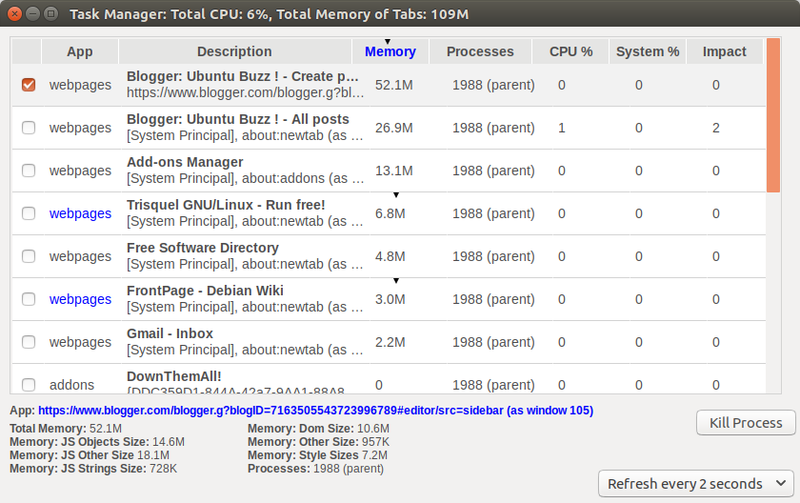 It's similar to our system monitor in Ubuntu, but crafted specifically to count memory use of tabs and addons in Firefox. 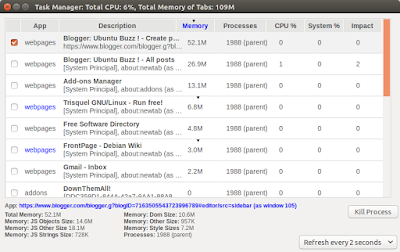 You can see memory/CPU usage per tab, for example, and kill them by selecting. 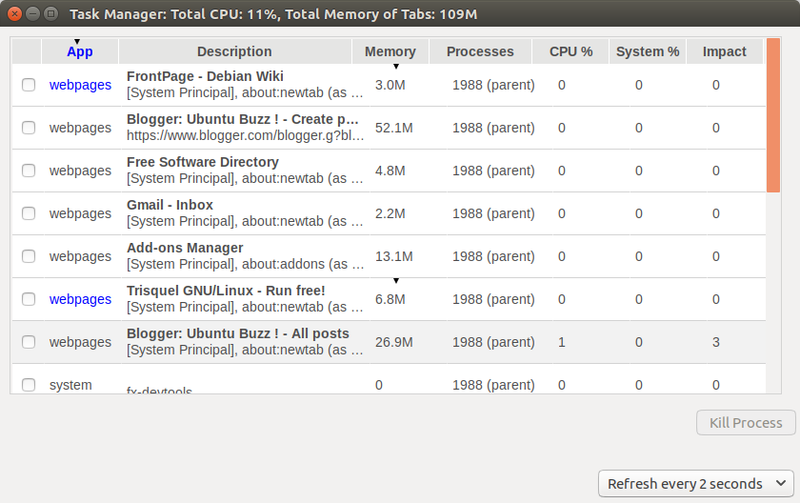 You can sort them so you know which tab consumes your memory the most/the least. 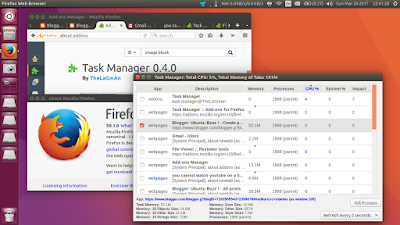 If you are Chrome user, this addon is a replacement for Navigator Task Manager. This addon is awesome so that I wish Mozilla would include this by default on Firefox. 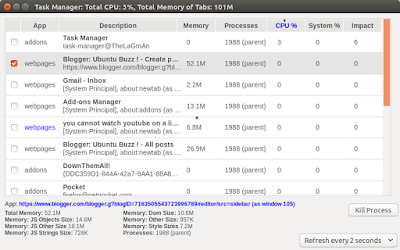 Just press Ctrl+Shift+A then search "task manager" and install it. It does not need restart. Once installed, you should find a black rectangle icon on your toolbar. If it doesn't, like in my Firefox 45, perhaps you need to upgrade the Firefox. You can see the list of tabs running by sorting the "App" column. The category name of tab is "webpages". See the Description column at picture below, those entries below are my tabs being opened. You can see the list of running addons by sorting "App column" into "addons" category. See here, DownThemAll! and another entries downward are my running addon. 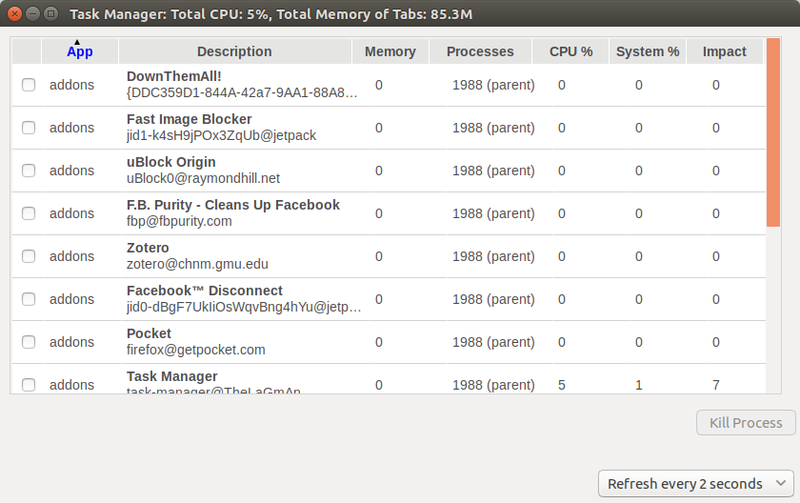 You can sort them by "Memory" column, to see what tab consumes most memory. 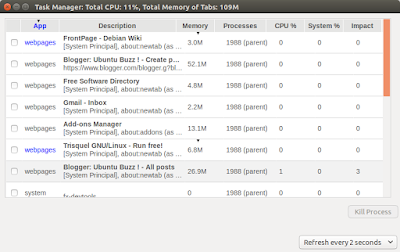 Here, the biggest memory use in my Firefox is blogger.com web page, and the smallest is gmail.com. This is very useful for example when your browser's getting slow, but you don't know which tab causes it. 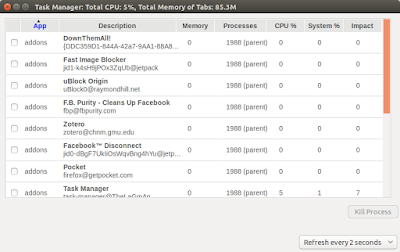 Just like any task manager, you can sort processes by "CPU" column. 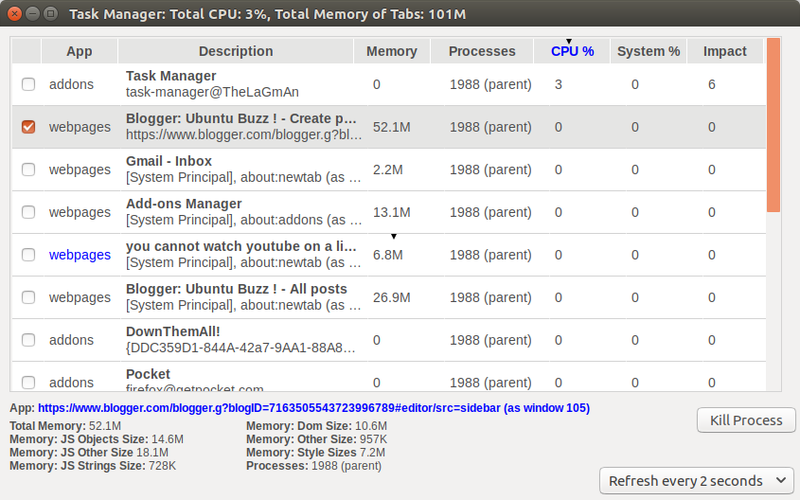 Here, they are not significant as Task Manager shown 2% use of CPU while running tabs/addons shown 0%.